Mark Applebaum excels at reconciling apparent opposites. He's a rebel‹easily the longest-haired professor at Stanford‹and a highly-respected pedagogue. He creates electroacoustic sound sculptures from mundane pieces of junk‹nuts, bolts, wire, springs, and the like‹then proceeds to coax sublimely surreal sounds from them. Most importantly, Applebaum performs a breathtaking balancing act between the profound appreciation for sound and soundmaking that informs his compositions and the wit that gives them a particularly Applebaumian luster. Applebaum is every bit as rich in range as he is in attributes. 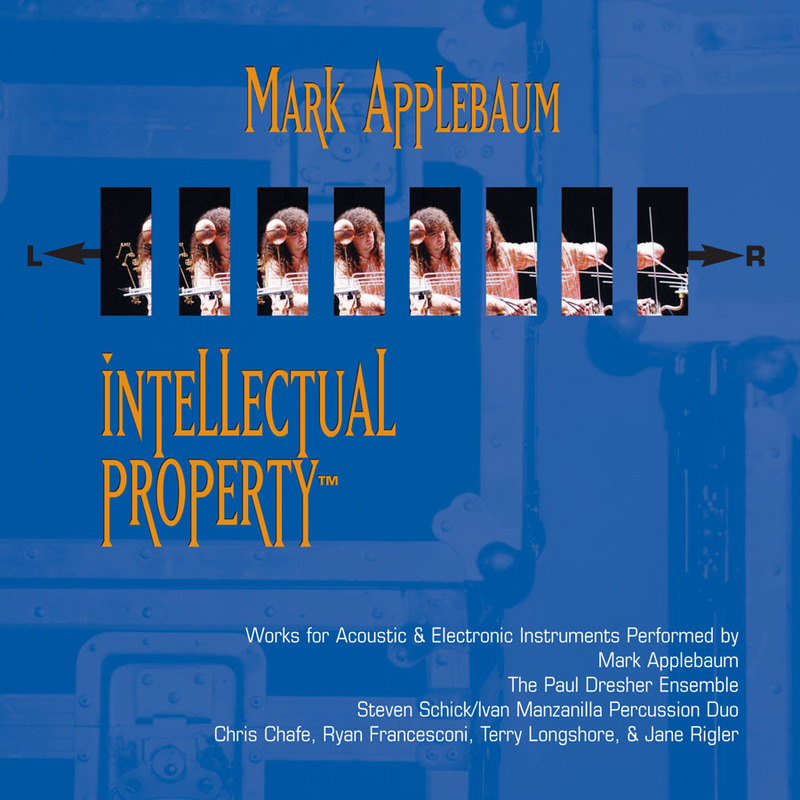 Intellectual Property's title track displays his command of pianistic elements (the man plays a wicked jazz piano), both composed and improvised, using a specially modified Yamaha Disklavier, while Pre-Composition utilizes only human voice to create an internal dialogue that will be all-too-familiar to anyone with writerˆs block. Other compositions (including Mouseketier Praxis, which showcases Applebaum's command of the mighty Mouseketier, one of his most powerful electroacoustic sculptures) explore the interface between electronic and acoustic sound sources in a thoroughly kaleidoscopic manner. The all-star line-up includes Steven Schick and the Paul Dresher Ensemble. In the world of Intellectual Property, anything that vibrates is fair game. And when Applebaum plays, he plays to win.